The iBase (IB) is the interface between the field monitoring and control equipment and the PC, where the field sites are configured, data collection intervals are programmed, system operation can be monitored and faults identified. The iBase performs the same tasks as the radio option, however the field sites are cabled to the PC. Two additional programs can be installed onto the iBASE, depending on requirements. For monitoring only, iNTELLiGraph is the program that manages the data and displays all sensors connected for data interpretation. For irrigation control, iNTELLiPump is installed. This program allows users to setup irrigation schedules for automating irrigation control directly from the PC. Either program can be installed, depending on the use of the system (monitoring or control only). If both monitoring and control are required, the two programs can be run in conjunction, and are fully integrated to automate irrigation events and raise alarms, based on the data being collected. 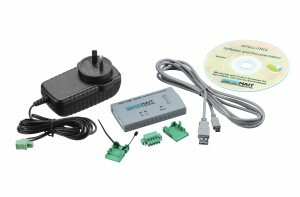 The programs can be installed onto, and hardware connected to any standard PC. The iBase and iBase-Radio systems include the iNTELLiNet program, which is required for irrigation control and automated. IBR data collection and alarm functionalities. iNTELLiNet allows for configuration of the network, interrogation of sites for checking operation and provides the interface between the data and the automation of the irrigation control.